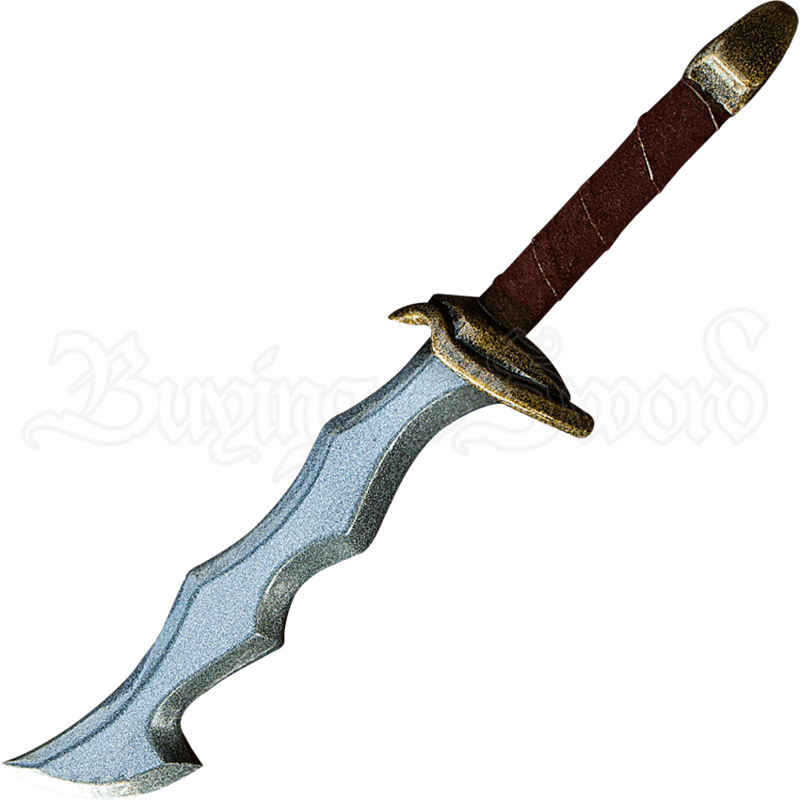 Whether your next LARP adventure leads you to become a dark elf from the high fantasy realm, or a debonair privateer from the golden age of piracy, add the LARP Corsair Dagger to your arsenal of roleplay weaponry. Jagged serrations run down both sides of the clip point blade. Split-leather wrapping reinforces the grip. A small crossguard and spade-shaped pommel appear on either side of the handle.